All of our mixes are Virginia DOT approved. National asphalt has been recycling asphalt since 1985. Since that time we have been able to save well over 1.5 million tons of asphalt from being landfilled. 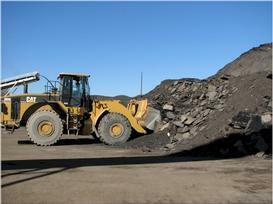 In 2009 we installed a system on our manufacturing facility that allows us to make warm mix asphalt. Our system “foams” the liquid asphalt during the mixing process. This allows the mix to be produced at lower temperatures while maintaining its work ability. This process not only saves fuel in the manufacturing process, it also reduces the visible emissions when loading truck from our silos and when trucks dump into pavers. This also reduces the workers exposure to these fumes. Saturday - 7:00 a.m. - 1:00 p.m.